The Four Key Factors to winning more tenders! Winning tenders involves more than just wrapping up a price in a nice cover. By approaching tendering in a strategic way, you will dramatically increase your chances of success. 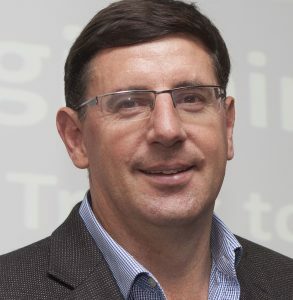 As a strong tender and proposal management profession advocate, Nigel started the Association of Proposal Management Professionals (APMP) chapter in Australia and New Zealand in 2008 and has lead or been part of the chapter committee every year since then. From 2010 to 2013 he also served on the international APMP Board of Directors, the first Australian to be appointed to that board. This significant presence and international reputation was further enhanced by him presenting at or participating in eight annual APMP USA conferences since 2008. Nigel was the first Australian to achieve the APMP’s highest level of professional certification (CPP APMP) and became Australia’s first APMP Fellow in May 2015 (a rare and very prestigious honour). BidWrite is Australia’s leading specialist tendering consultancy, bringing together tender response and tender request expertise in one organisation. BidWrite’s core business is tendering. As a result we now have Australia’s largest and most qualified team of bid professionals. At Business Owners Board we are building a community of passionate and motivated business owners and experts making a positive difference in the lives and businesses of fellow members through fellowship, advice and innovative solutions. With no hidden agendas, no competing businesses and no-one trying to sell you anything, you can get quality help and advice whilst developing a trustworthy network of experts and contacts.